She is such a sweet person, so I was really excited that her number was drawn :) Congratulations Kelsea!!! Kelsea of KelseaLaurel won China Glaze Ruby Pumps, China Glaze For Audrey, Color Club Magic Attraction, Maybelline Shooting Stars, Maybelline Natural Pink, Sally Hansen Denim Creme, PRO10 Pedal to the Gunmetal, PRO10 Chocolate Truffle Brown, PRO10 Peach Shimmer, Fing'rs Edge Pink and Black Argyle Nails, Fing'rs Edge Skull & Rhinestone Nails (they glow under black light! ), Fing'rs California Girl Beverly Hills Chic Nails, Fing'rs 4-sided Nail Grinder, Fing'rs Brush-On Nail Glue, Fing'rs Flirt 3D Nail & Toe Art Stickers, Two Basic Nail Files, Vaseline Healthy Hand & Nail lotion, Nail cleanup Q-tips Purse Pack, and a Caress Velvet Bliss Beauty Bar. Whew! Congratulations! Hope you enjoy these fun nail goodies :) Distant Dreamer of Glamorous Geek Chic won Fing'rs Edge Rainbow Argyle Nails, Fing'rs California Girl Ooh Laguna Nails, PRO10 Chocolate Truffle Brown, PRO10 Peach Shimmer, nail files, and a nail cleanup Q-tips Purse Pack. Congratulations to both winners!! I will email each of you for your contact information so I can get your prizes mailed out. Thank you to EVERYONE who entered! I currently have two other giveaways running (with a total of four more winners!) so do not despair if your name was not drawn this time around. To enter to win one of three Nailene French Manicure Sets, click HERE. 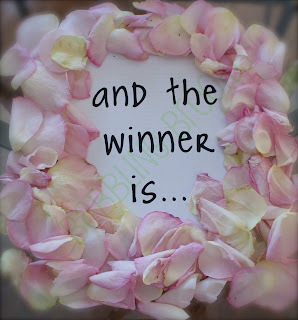 To enter to win a Blog Makeover from Designer Blogs, click HERE. Disclaimer: I originally drew another name for the second place winner but she was not a follower, and was unfortunately therefore disqualified according to the rules. Random.org then chose #143 (Distant Dreamer). Yay!!! I'm so excited!!!! Thank you so much!!!!! !